Today marks the official beginning of Oscar Week 2014. This time of the year is always very exciting for film enthusiasts. Even if you don't consider yourself a movie buff, it is still the day when you sit down and pick your favourites to barrack for in the night of nights and discuss who is wearing what best. It is with great excitement that we announce that Movie Critical is once again heading to Hollywood to be part of the excitement! Over the next week we will be posting photos of Hollywood Blvd. as it gets ready for the night and other exciting events. Last year we had a great time being at the centre of the Academy Award universe and we are expecting this year to be even better. We are leaving Sydney for Los Angeles today so the coming days will see lots of Oscar here at Movie Critical! Before we leave, we can't talk Oscars without predicting who will take home the big awards on the night. Here are the nominees for each of the big awards and our predictions as to who will win these awards come Sunday night. 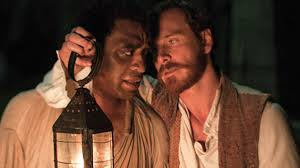 Steve McQueen's haunting and confronting film about a free man who was sold into slavery, 12 Years A Slave will be hard to beat. The film is exceptionally well rounded with a solid screenplay, brilliant performances, amazing cinematography and beautiful musical score, as well as being emotionally driven and very powerful. Alfonso Cuaron's Gravity truly is an incredible achievement in direction. While the film really only stars Sandra Bullock and George Clooney, Cuaron had to direct as though in zero gravity in space with the aid of CGI and mechanical apparatus'. Gravity maintained a high level of tension for the entirety of the film. An ambitious film and exceptional directing achievement. It's shaping up to be the year for Matthew McConaughey. 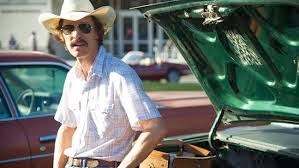 Although he has tough competition from Chiwetel Ejiofor and Leonardo DiCaprio, McConaughey has had a superb run with his choice of films and with Dallas Buyers Club he is at the top of his game and fans and peers alike are responding. His portrayal as Ron Woodroof was brilliant and completely intriguing. This category has pretty much been a one woman race from the start of award season. Cate Blanchett plays an extremely unstable and disturbed character in Blue Jasmine and did so perfectly. There has been talk of late by many that her chances for the Oscar have been derailed by the Woody Allen controversy, but the Academy surely acknowledges that Blanchett has nothing to do with these happenings and shouldn't be punished for giving the best performance of the year in one of his films. Blanchett is a certainty for this one..
Like Blanchett, Jared Leto is pretty much a sure thing to take home this award. 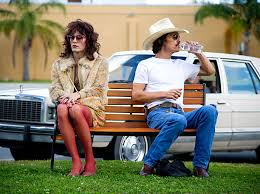 After a six year hiatus from film, Dallas Buyers Club has been the comeback from heaven for Leto. His performance as the transgender Rayon was incredibly natural and avoided all cliché and stereotypes. Although McConaughey was incredible and will more than likely win the Oscar in his category, Leto overshadowed McConaughey whenever he was on screen and the film was at his best when he was involved. This is the category that is presently creating the most interest as it seems to be a race to the finish for both Lupita Nyong'o and Jennifer Lawrence. Nyong'o has taken home the Screen Actors Guild Award while Jennifer Lawrence has won both the Golden Globe and the BAFTA. Yet, it seems hard to go past Nyong'o. She was heartbreakingly exquisite in 12 Years A Slave and deserves the award. However, Lawrence was certainly fun to watch and isn't far behind Nyong'o...if she is at all.